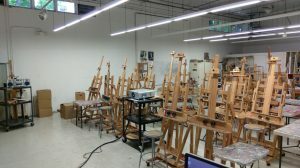 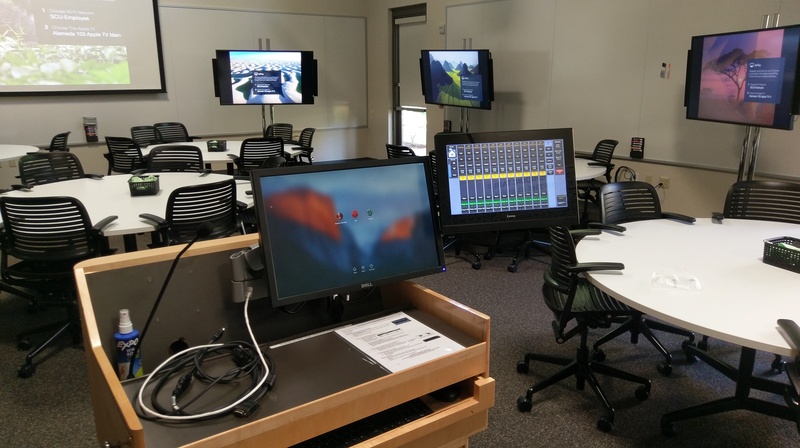 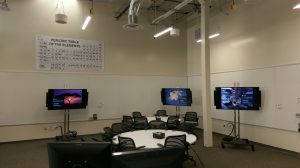 SCU Alameda Hall | Riverview Systems Group, Inc.
Riverview was contacted about turning an Art building into a Collaboration Multi-Display Classroom. With this Santa Clara University and Riverview came up with a design that was fluid and cutting edge. 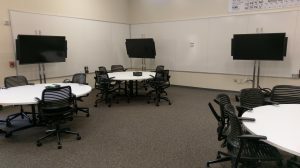 Alameda Hall 103 is a Interactive Classroom that allows students to collaborate in groups and share content via Airplay to 55” NEC Displays. The instructor has full control of the system with the help of Extron’s GC Pro Control System. 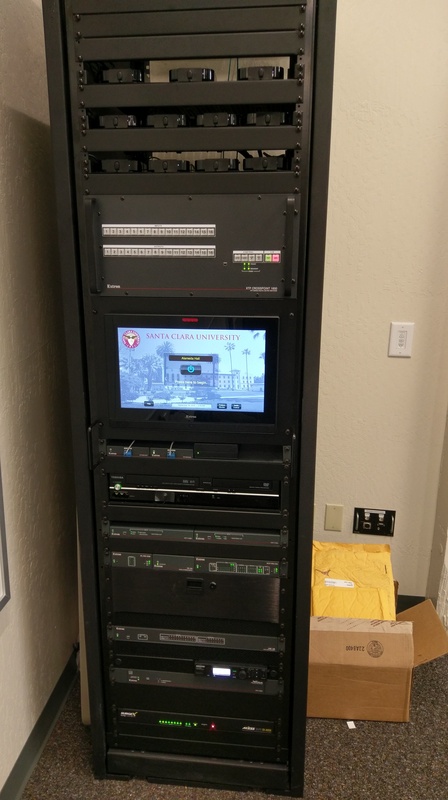 Content is routed through an Extron XTP Multi-format Matrix Stystem with a 50 Gbps digital switching backplane. 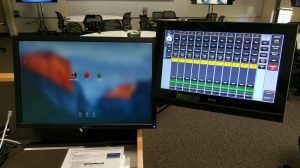 This allows content to be switched seamlessly and routed with the push of one button. 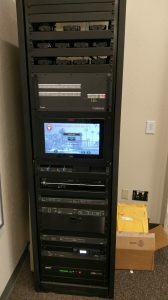 Audio is handled through an Extron DMP 128 Digital Signal Processor and distributed to 16 – Bose DS 100F Pendant Loudspeakers.